Gary is a teacher, counselor, and healer. His background includes a degree in education and training in Psychosynthesis, an integrative healing technique to heal and balance our physical, mental, emotional and spiritual selves. 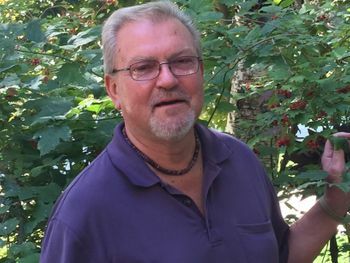 A Reiki Master and intuitive counselor, Gary has studied many of the Ancient Cultures, their healing methods, and Spirituality. A native of Sauk County, Wisconsin, he has traveled to many of the world's Sacred Sites and has studied the Ageless Wisdom of Masters. He attends national and global conferences on spirituality, personal development, and growth of human consciousness. He continues to study with a group in Madison where he strives to learn, grow and evolve along with the rest of us. Gary is committed to doing his part on the Earth at this critical time by sharing his insights with people in private and group sessions, as well as teaching groups whenever he is called.